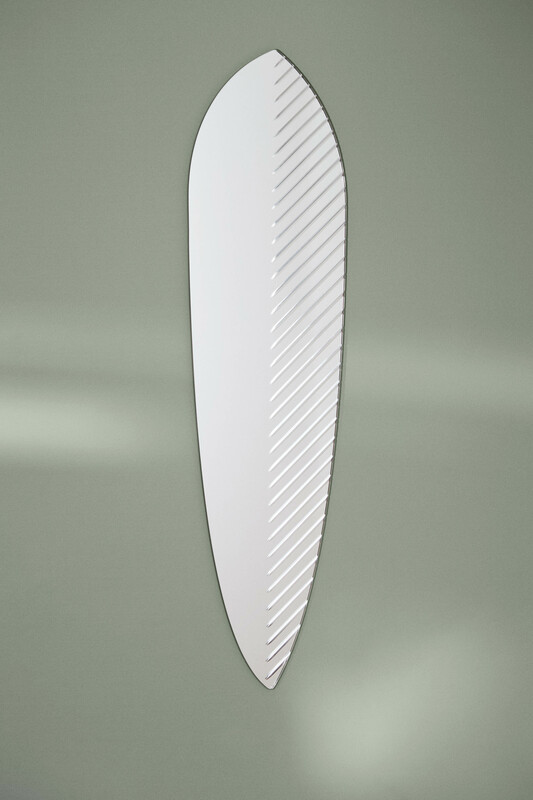 Sophisticated mirrors engraved on one half, which come in three sizes and different shapes. The mirrors create a wonderful sparkle in the room and are as functional as they are decorative alluring elements in your hallway, living room and bedroom. On one side, Masquerade is a traditional mirror that reflects the world 1:1, while o the other the geometrical patterns transform it into an elegant decoration referencing the world of masks. A duality of great beauty also known from the masquerade and which gives the mirror its distinctive character. Manufactured and distributed by Warm Nordic.